This locomotive was built by Baldwin and used until the 1940s for sugar cane transport on Hawaii. Then, it came to the Grizzly Flats Railroad, Ward Kimball’s backyard railroad in San Gabriel, California. The locomotive was in use there until 2006. Afterwards, Chloe and its passenger cars were on display at the Orange Empire Railway Museum near San Bernardino, California. 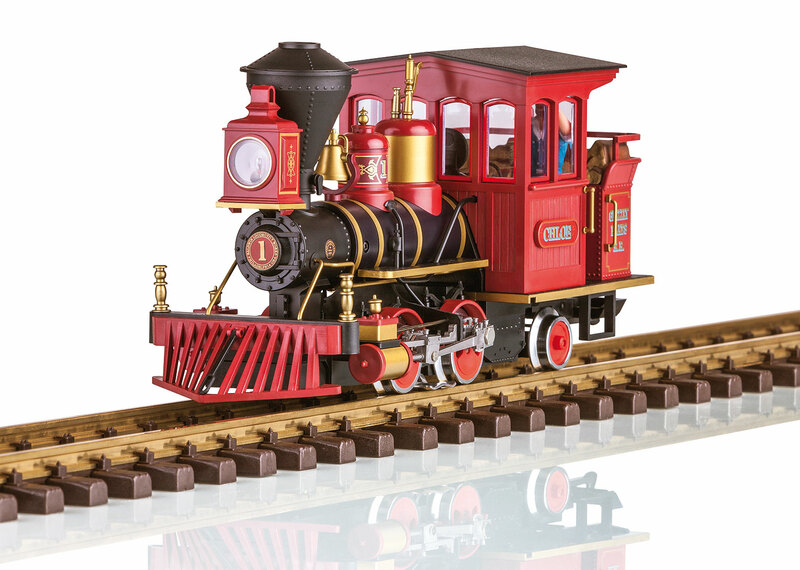 This is a model of the field railroad locomotive "CHLOE" of the Grizzly Flats Railroad in California. It is finely detailed with prototypical paint and lettering. Both driving wheel sets are driven by a powerful motor with ball bearings. It has a working headlight. 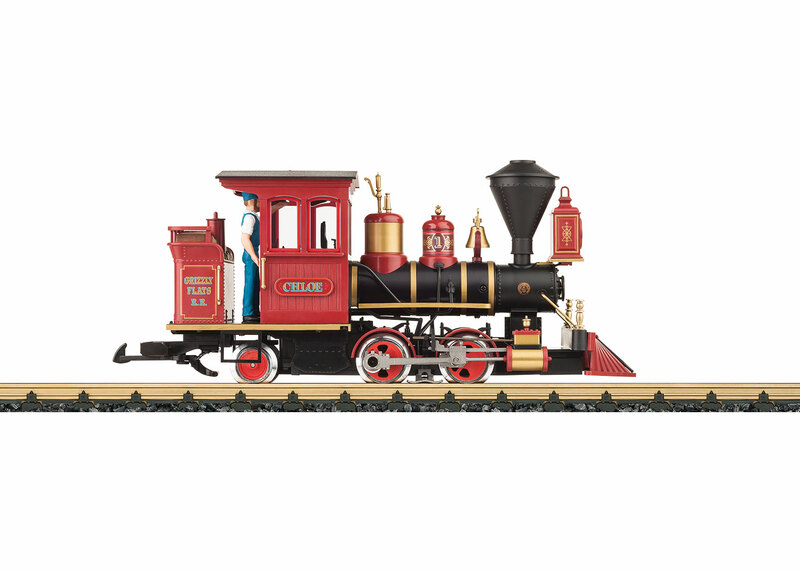 A figure of a locomotive engineer is included. Length over the buffers 28 cm / 11". The 30431 passenger car, 1st class, and the 32441 passenger car set are available to go with this locomotive.